Down in Hobart, Tasmania, behind the row of sandstone buildings at Salamanca Place, in front of a big bronze fountain, is Honey Badger Dessert Cafe. It looks like any other cafe with big glass windows. It’s cheerful and bright inside. Tables are arranged along the walls and in the middle of the space. I ducked in there for the first time when I visited my parents last year. It was my last morning in Hobart and I was looking for something simple to eat. Not quite the simple breakfast I was after, but it was delicious. And sweet. I savoured every calorie loaded bite. I grew up in Hobart. After wandering Asia during my early childhood, my family moved to Tasmania and we finally settled. I was about eight years old. Family folklore says we stayed because my mother saw a TV news segment about a lost calf. A calf was separated from its mother and the segment urged anyone who saw a calf that looked like the image of the cow on the screen, to call the police immediately. It was almost 40 years ago, but my mother still remembers the moment. If the police and the community could care about a lost calf, how much more would they care about people? That was when my mother decided to stay in Tasmania. It didn’t matter that we were the only Korean family in Hobart, far from relatives and our ethnic community. She was determined to raise her children here. I left Hobart after I finished university looking for what the big wide world had in store. And even now, after spending more than a decade on the Australian mainland, I feel a pull towards Hobart. Perhaps it’s because my parents still live there. Perhaps it’s because of the memories I’ve made there. Or maybe as I grow older and more world weary, I long for a place that cares about lost cows and people. Looks good. 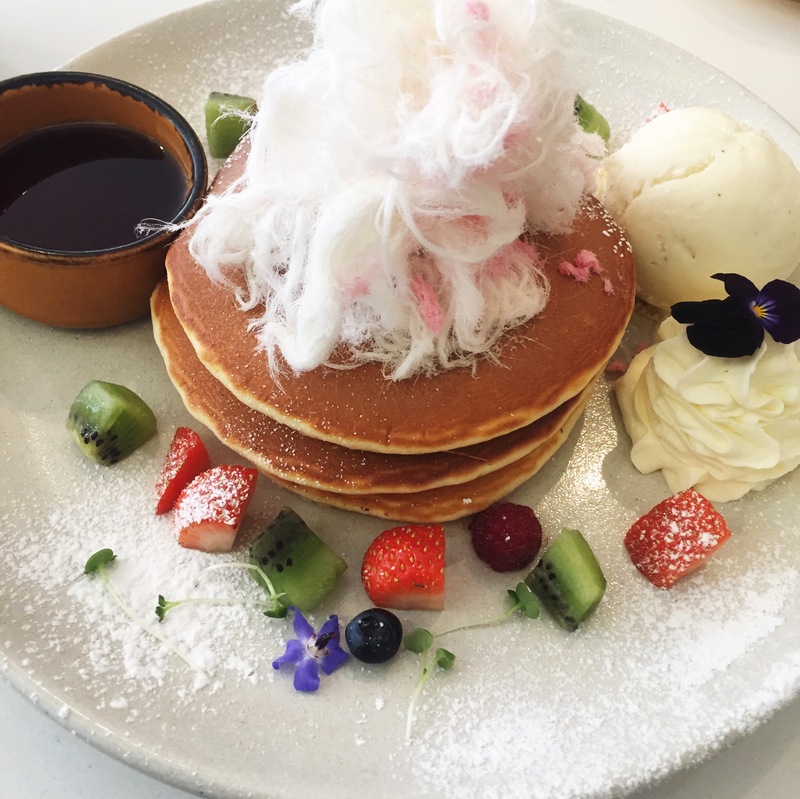 Is that cotton candy on the pancakes. Thanks Expat Panda. Happy travels! I love your mum’s reasoning! Stubborn woman, my mum. It was for the best! Definitely on my “to-do” list next visit to Tassie!